Dr Rabbitt is professional and knowledgeable. He quickly diagnosed my hand and foot ailments and recommended cures thathad immediate impacts. I have already recommended him to several other people. Dr Rabbitt is professional and knowledgeable. He quickly diagnosed my hand and foot ailments and recommended cures that had immediate impacts. I have already recommended him to severalother people. Dr, Rabbit performed a hip replacement on me at Sentera Medical Center in Woodbridge, Va. Great hospital and staff very pleased.Recovery nicely and very satisfied with my outcome. Dr, Rabbit performed a hip replacement on me at Sentera Medical Center in Woodbridge, Va. Great hospital and staff very pleased. Recovery nicely and very satisfied with my outcome. 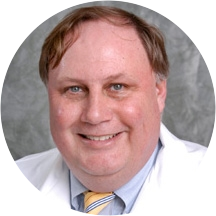 Edward Rabbitt is a focused and dedicated orthopedic surgeon serving his patients in Woodbridge and Alexandria in Virginia, and Clinton and Waldorf in Maryland. Dr. Rabbitt is certified by the American Board of Orthopaedic Surgery and is currently a member of Prince George’s County Medical Society and the American Academy of Orthopaedic Surgeons. Dr. Rabbitt is currently practicing at Medstar Orthopaedic Institute alongside his talented cohort of doctors. Dr. Rabbitt performs orthopedic consultations, orthopedic follow-ups, and bone density measurements. He welcomes patients to his practice who are experiencing sports injuries, hand problems, knee problems, and herniated disks, among others. Dr. Rabbitt is affiliated with MedStar Southern Maryland Hospital Center and Sentara Northern Virginia Medical Center. Dr. Rabbitt earned his medical degree from Temple University. He then completed his residency and served as assistant clinical professor at Georgetown University Hospital. Took care of my shoulder problems stat. Very efficient. Quick visits. Dr. Rabbit knows his joints! FYI: be prepared to spend a lot of time in the waiting room. Additionally, when you get off the elevator you’re directed to use the kiosks on the left to sign-in. My appointment was for 2:35 p.m., I got there at2:25. Initially, I was happy to see smiling faces as I came off the elevator. I thought I would check in and all would be well. But, I was quickly instructed to sign in at a kiosk. Which would be cool if you weren’t hurting. I stood there for approximately 10 minutes since I was a new patient. Then after completing everything at the kiosk, I sat, then sat, then sat. I was called to the desk about 30 minutes later, then told I had paperwork that needed to be filled out. Uh, what was the kiosk check-in for? After I waited for an hour and twenty minutes a young lady from the check-in area walked past I let her know I had been waiting for well over an hour and I have yet to be called. She went into the back and Dr. Rabbit’s tech came out and called me. It took me asking what was going on to even be called back. Once I was in the room, the tech asked me why I was there. I explained why I was there. She told me the doctor would be in momentarily. 15 minutes later, the tech comes to the room to remember what room she put me in and says the doctor will Be in soon. 30 minutes later, still no doctor. I went to the checkout to inform them at 4:25 I had been there since 2:25. The tech came up and said I was the next patient. Dr.Rabbitt comes in about seven minutes later, asked what was going on and was out of the room in 10 minutes. I left the facility at 4:45 p.m. Will I be back? Probably not. I have been going to Dr. Rabbitt for many years and he is always professional and courteous to his patients. He listens to your issues and addresses them immediately, I had a knee replacement in March of this year by Dr.Rabbitt and everything went extremely well and recovery was good with physical therapy. All in all very happy with Dr. Rabbitt and will continue to see him for all my orthopedic needs. Everyone was very nice. I expected a long wait due to the kind of appointment I had. This was a one-year follow-up to total knee replacement. Dr Rabbitt reviewed the new xrays with me; did a through eval of knee joint; asked pointed questions as to knee performance; answered my questions in directly caring manner as usual. Thisis my go to orthopedic surgeon; has been awesome and I will continue to see him as need arises. I was disappointed with this office as a whole, to say the very least. The front desk receptionists were rude, unpleasant and seemed miserable. They didn't greet you when you walked in and whenever you asked a question, they appeared frustrated.As for the doctor, he seemed to be in a rush and not really interested in my questions or comments. He also appeared frustrated. The entire office, other than the initial nurse i seen when i was first escorted to the room, just acted like they hated their jobs. I am supposed to go for a follow up in two weeks but i will not be returning after this experience. i am already looking for another physician. Dr. Rabbitt is an excellent doctor and orthopedic surgeon so much so I've been going to him for years. Dr. Rabbitt knew exactly where my pain was coming from and took care of it. Dr. Rabbitt was great, however he was running late and so I ended up waiting an hr and a half past my appointment time to be seen. I believe doctors need to be cautious and respectful of people’s time. Very good visit the only problem was an extremely long wait appointment at 2:50 did not get out till 4:30. Dr. Rabbitt is an excellent orthopedic. I have been seeing him on and off since 1990 for different ortho problems. He is a very busy doctor which makes your wait long, but his knowledge is worth it. Dr. Rabbitt is an awesome doctor. He is very knowledgeable. I liked the fact that he seemed to take more time and didn't seem rushed through the visit. Very personable. My experience today was the best I’ve had seeing a new provider! The staff was courteous, I love the electronic check in process and my wait time was less than 15 min. Dr. Rabbit was very thorough, was great giving thecortisone shot, and gave me my plan of action. The checkout process was seamless as well! Great experience from start to finish! I am a current patient of Dr. Rabbitt's. I like the fact that I was able to make a very quick appointment to see Dr. Rabbitt via this website and can see the dates of availability for future appointments. I was a bit sceptical after reading previous reviews about Dr. Rabbit. I'm glad I made an appointment with him. He was very pleasant and professional. Very skilled and personable professional that I recommend to all my friends. Excellent doctor. I have been going to Dr. Rabbitt for 30 years & he is by far one of the best orthopedic doctors. Today's visit wait time was over an hour but there was an acceptable reason for the delay. I don't hold it against him. Worth the wait. I was in tears when I came to see Dr. Rabbit today; the initial impression with the front desk staff was not the best; I think they could try and be more hospitable when checking in. It really made me questionpursuing this visit; a smile or a good afternoon would not hurt. The nurse that took me back was very nice and friendly, Courteous and kind which is what one expects when you are not feeling well and come to a Drs office to find relief. Dr. Rabbit was in shortly; he was so kind and considerate, truly something I needed. I've been sufering from debilitating back pain and he listened and explained, plus he finally gave me a course of treatment where I can finally see light at the end of the tunnel. Thank you Dr for that! The check out person was also friendly and prompt to assist; not sure why the person checking people in seemed so angry or unkind when everyone else clearly knew they were dealing with patients that just want to be heard and helped. I highly recommend Dr. Rabbit! I have been seeing Dr. Rabbitt for over 25 years. Everyone in my family and extended family goes to him. He is always attentive, and communicates effectively. I do not leave the office feeling that I didn't understand his diagnosis ortreatment. I feel that Dr. Rabbitt genuinely cares about me and my family. He always asks about us and seems interested in our life events. I feel very comfortable there. Thorough examination, willing to listen to my concerns, bedside manners. Very fast, professional and pleasant! He had me laughing even though I have a fractured foot. Very courteous and helpful. Explained all my medical options. Was nice to have someone talk to you and interact with you. He asked questions and listened. Rapid decisions on how to proceed instead of me being asked "what do I want to do" since I am not a medical professional. Dr. Rabbitt was able to get to the root of my problem. Will be taking phyiscal therapy for my problem. Excellent!!! Best orthopedic doctor for me and my family. Dr Rabbitt is a first rate person, as well as a top rate physician. I had a procedure done 10 years ago and so when I needed another treatment, I went straight to Dr. Rabbitt. He is friendly and professional and listens well. He is a wonderful surgeon and I trust him. The earlier the appointment, the shorter wait time. Dr. Rabbit was great. I will definitely see him again in the future! After waiting almost an hour to see the doctor, I felt a bit rushed during my actual appointment; however, Dr. Rabbit was super polite and explained everything thoroughly. The staff was also very kind and helpful. I am transitioning from Tri-Careto Cigna HSA and with the many questions I had, all staff was able to help out and provide accurate feedback. Dr Rabbit is the ONLY surgeon i would ever consider using ! I have had work done by him before and have been very pleased with the results. He is the best ! Bar none!! Amazing doctor! Knew what was wrong and fixed me right away! Wait time long which seems to be due to overbooking. Experienced this several times. Results in an over crowded waiting room with patients standing while waiting. Dr Rabbit and his entire staff are efficient, personal, and attentive. I was in-and-out in less than an hour. I didn't actually SEE Dr. Rabbitt, I saw his assistant, which was fine. I've been treated by his assistant before and he was great then too.